Well, aside from a feeling of supreme happiness, utter joy, or contentment (as defined by Webster's), Bliss is a fresh perspective and carpet like no other. One that speaks in a language everyone can understand. One with a simple two-step selection system, and color-at-a-glance comparisons. One designed with your lifestyle in mind, to be durable, life friendly, and easy to clean. Bliss is a beautiful thing, and wouldn't be possible without the 6,000 Blissees who work here. They are among the best in the industry; and they make us a better company in every way. So, why are they so blissful? Because they are in control, and they're having a BLAST. You see, we have the biggest HR department in the world, and all of our employees are in it. That means they're involved in our hiring process...and more. Yep. Each and every one of them has a say when it comes to bringing on a new teammate. And, we believe it's what makes us one, big, happy family. We think it's "The nicest carpet in the world." And think you will too. 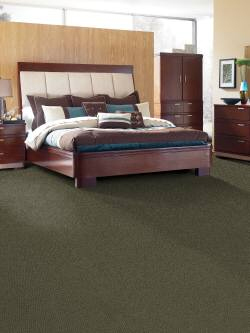 We invite you to experience Bliss at your local flooring retailer.